Dare to be different with this seriously attention grabber, stand out in the crowd street art paint splash design! 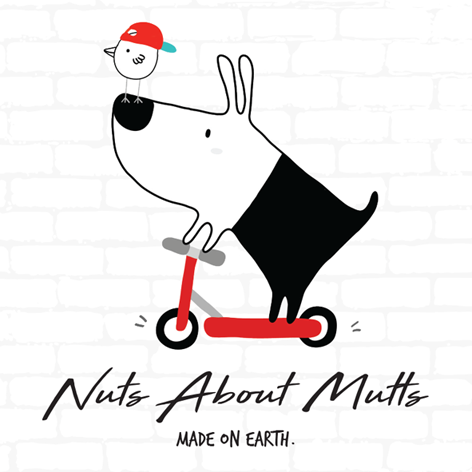 The Nuts About Mutts Comfort harness is soft and comfortable with breathable mess insert. 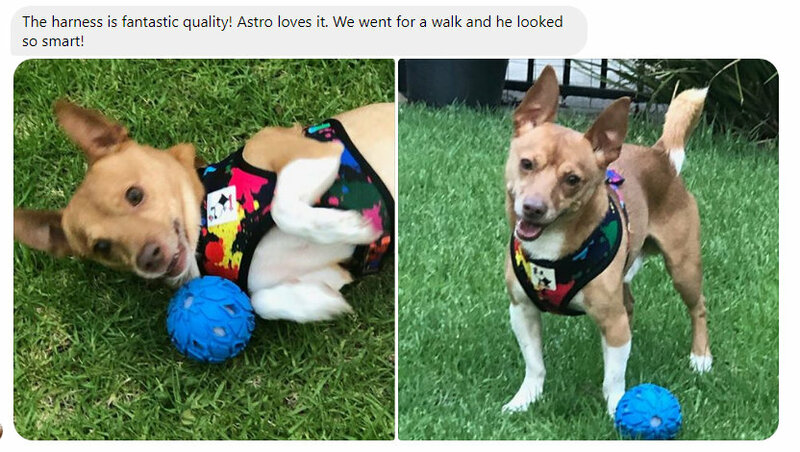 The Comfort Leash features a neoprene padded handle for a soft, comfortable grip, fun vibrant colours on both sides and an additional d-ring on leash to attach keys, bags etc. This harness is soft with adjustable straps and a breathable mesh liner. Vibrant colours for maximum impact! Adjustable straps for the perfect fit. We ship THIS ITEM within 24 hours. Express post 1-3 working days. Thank you for your purchase! Any problems, please do not hesitate to contact us.